Brooklyn Decker vs. Andy Roddick became a game of Doubles with Serena Williams partnering up with both! First, Brooklyn re-enacts the iconic music video for “Sorry,” complete with Serena’s appearance. Andy fires back with Bruno Mars’s “Finesse (Remix)”, with Serena performing Cardi B’s verse. Watch the full episode now on the Paramount Network App. 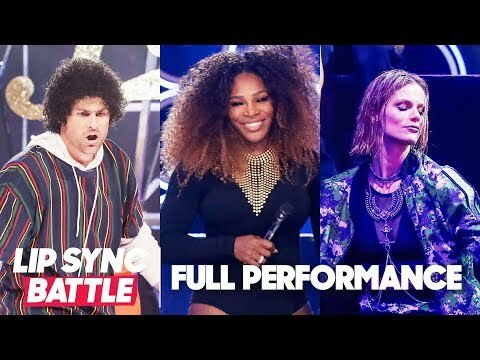 Lip Sync Battle Season 5 Premiere Official Trailer Ft. Mariah Carey, Brooklyn Decker & More!